Keeping people safe on the job is a top priority — whether you’re a utility or a company that provides services to utilities. But there are other long-term advantages to safety. Lower risks and incidents means less costs to your organization and a stronger bottom line via improved productivity. Emphasizing safety also helps you meet certain compliance requirements and industry regulations that, if broken, could result in significant fines. 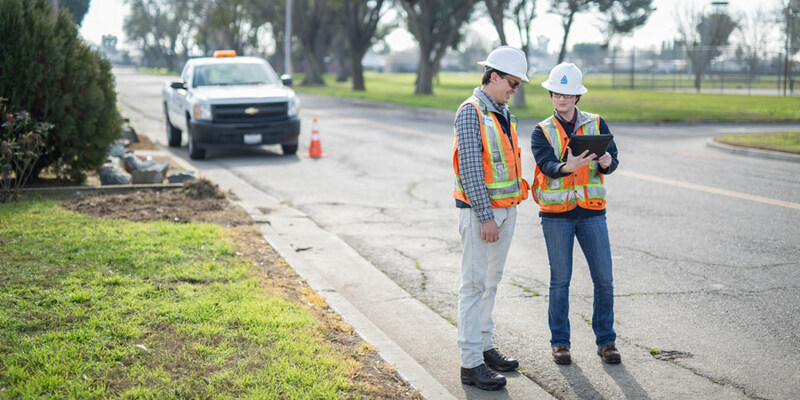 To help utilities and other industry organizations reduce risk and check that employees are following industry safety standards and practices, we provide crew safety auditing and auditing software. These services evaluate your work crews, or those of an organization contracted with you, and provide useful documentation that demonstrates ROI and overall performance for both individual employees and the organization as a whole. ACRT utilizes advanced auditing software to capture, analyze, and provide data gathered during crew safety audits. At the end of the auditing process, documentation will be provided that supports ongoing safety compliance, details worker training, and gives insights and records that can be used for employee advancement and performance appraisals as well as tailboards and organizational process development. Our crew safety auditing and auditing software can be deployed in a variety of ways depending on the scope of the project. We’ll work with you to provide the right number of auditors needed for work crews and according to contract requirements. We’ll also develop a schedule that works well for your team(s) to minimize any interruption to crews’ normal routines. Finally, our software can be customized depending on project requirements. ACRT is the only national independent vegetation management consulting firm in the U.S. This means that when you work with us for crew safety auditing and auditing software, we do only what’s best for you. There’s no third-party influence on our work or decision-making. And when it comes to audits, our independence validates the data you receive because there’s no competing interest. Only meaningful results that you can use for the safety of your people. Our organization felt confident in the return on that investment in the form of reduced injuries, less downtime and fewer claims. We also know that our employees saw and felt the benefit, and we received positive feedback after the initiative was complete.